Many proponents of unconventional methods of cancer treatment make claims that are not or cannot be scientifically confirmed. They commonly present a treatment that has a very high degree of activity against cancers that are considered incurable; a treatment with few, if any, side effects; a treatment whose nature and exact contents are kept secret for fear of sabotage by the medical establishment. However, practitioners of unconventional treatments are held to the same research standards as those of any scientist: that a discovery be evaluated scientifically and reported in a timely and thorough fashion in the scientific literature so that others may learn of, evaluate, and critique the research results. When scientific research shows that a new treatment method has promise, the method is evaluated in clinical trials with cancer patients. These studies are designed to answer scientific questions and to find out whether the new treatment is safe for patients and effective against the disease. The NCI booklet "What Are Clinical Trials All About?" provides further information about such studies. Patients interested in investigational treatment should ask their physicians to determine whether they are eligible for a clinical trial. Does the treatment have a "secret formula" that only a small group of practitioners can use? Scientists who believe they have developed an effective treatment routinely publish their results in reputable journals so they can be evaluated by other researchers. The use of unconventional methods may result in the loss of valuable time and the opportunity to receive potentially effective therapy and consequently reduce a patient's chances for cure or control of cancer. For this reason, NCI strongly urges cancer patients to remain in the care of qualified, board- certified physicians who use accepted methods of treatment or who are participating in scientifically designed clinical trials. (Board certification is one way a practitioner demonstrates that he or she has had training in treating patients with cancer.) Often, it is appropriate for patients to consider investigational therapy. For such patients, clinical trials are a treatment option. NOTE: THE "STATISTICS" BELOW ARE FAKE, AS IS DEMONSTRATED IN THIS POST. NOTE: THE "STATISTICS" ABOVE ARE FAKE, AS IS DEMONSTRATED IN THIS POST. 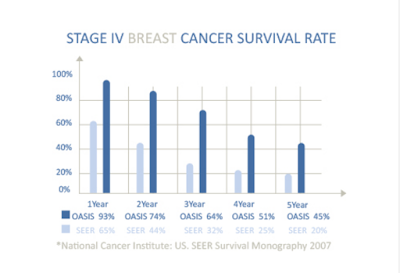 In terms of the cancer survival statistics on your website, please let me know precisely how your follow-up system is organized. How and how often do you communicate with patients after they leave? What percent of patients let you know how they are doing? Is the stage of cancer independently verified and the outcomes independently verified, or does your clinic assess the stage of cancer and conclude the outcomes without any independent verification? 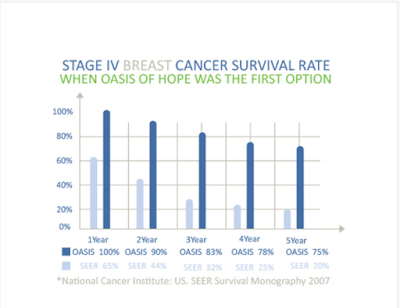 I do not understand why Oasis of Hope would not make the facts underlying the charts on [its] website available so that people could validate that the material is legitimate. I could in no way justify recommending that anyone trust [his] life to your institution without any way to verify that the cure rate tables published and promoted on your website are real. I do not understand why your follow up procedures would need to remain hidden if they are quality and reputable ones. I can't imagine going to a hospital that advertised that they had the best rates of cancer-cures of any place . . . but then kept hidden and secret the evidence upon which they made those claims rather than submitting them to the rigorous analysis and validation that justifiable claims can undergo. I have paid over 300 thousand dollars US so far. The 25,000 [initial payment] is just an introductory. If you have a severe case, you will pay a lot of money. I am fortunate to have some money from my aerospace company I founded, but my honest opinion is that this hospital will help you the most and get you better if you have a lot of money. They are in a figurative sense, milking me of my money but, I really have no other choice, while it is costing me a lot of money, they are keeping me alive. So I am grateful for that. They do ozone iv, uv iv, perftec, vitamin c iv, laetrile iv, vit k iv and nurtracuticals. [Quack stuff that does not cure cancer.] Also they do light chemo too [which only makes cancer more resistant and does not cure it.] . . . . At Oasis, they will keep me alive until I run out of money i guess. The treatment is very expenisive [sic] at Oasis. The rates for medicines, surgeries are more expensive than in England. For example, an antibiotic in England cost me about say $30 US. The same at Oasis, they charged me $250 US. To remove a cyst in England I was quoted about $500 US. I paid almost $3000 US at the Oasis of Hope Hospital. That is a much higher rate. A bone scan in England cost me about $400 US through a private company, at Oasis I paid . . . $1000 US. . . . The owner is Dr. Contreras Jr,, He is a very intelligent guy, first, his intelligence is in the form of being a clever businessman first. He really presents himself as a religious man, but I will say that after 3.5 years of getting acquainted with him, the man's first priority is money. He uses religion to hide his somewhat money hungry side. He lives in San Diego in a large estate, just across the border. He also has a large property with maids and expensive furniture and antiques in Tijuana and a house in Vienna, as well as many houses throughout resort cities in Mexico and Europe. Most who work with him, think he is very humble person, who lives a meager lifestyle and is deeply involved in religion. Yet, he lives the life of a wealthy aristocrat. He keeps a very low profile on monetary matters. He does very little there in terms of actual medical practice at Oasis, mainly he just checks on the business and make sure thing are in order. He comes in a few times a week to check up on things. He does meet once a week with his team of doctors and he does evaluate some patients. But, his role is mostly a PR role and he mostly does question and answer interviews in the Oasis cafeteria and on the third floor in their meeting room. He is very charismatic guy, dressed in expensive Armani suits with slightly grayed hair and skin that has been treated and pampered with facials. His nephew is named Daniel Kennedy and he is the CEO. I met him many times too. He also presents himself as a religious guy, with a degree in divinity. He would also tell me stories about how he was working on a doctorate in psychology and that was his passion. He by training has an MBA and is the main person that took Oasis of Hope Hospital . . . to a more business run place with the first priority of making money first then helping. Having talk to Daniel Kennedy many times, the financial side to Daniel Kennedy came out numerous times. Actually under the leadership of Daniel Kennedy, Oasis Hospital shifted its business plan . . . to charging far more expensive rates, well more than I would pay in the UK. Daniel Kennedy changed the pricing scheme to address the psychological impression that people have on price. His idea was to charge more money, as this would be associated with having better medical care. Daniel Kennedy also developed a revenue sharing model that allows doctors to acquire a commission of all charges incurred. So, doctors that perform extra tests and extra scans and procedures will get a percentage of these profits. This is perhaps the wors[t] thing that happened to Oasis of Hope Hospital. Daniel Kennedy's revenue based sharing has allowed the Oasis of hope hospital to substantially increase their profits. Patients may get extra tests and procedures in the process, depending on the doctor. His fondness of wealth and business came out. Daniel Kennedy has expensive taste and he talked to me several times because they know I am successful, he talked to me about opening a clinic in England. He talked about the amount of money that could be made there if the proper people were involved. But, he did not mention about the people that could be helped. He is a business guy who since his involvement with his uncle, has turned Oasis to a money making machine. Oasis profited over $20 million dollars US after expenses in 2006. That is how they can afford to be in Playas de Tijuana, basically on the beach in Tijuana, the most affluent part of Tijuana. It is actually across the street from the beach. There is an arena on the beach where they do bull fighting and other sports. Considering the low gross domestic product per citizen in Mexico, $10,000 US is considered a good salary salary in Mexico. The low cost of labor, makes Dr. Contreras Jr. and Daniel Kennedy his nephew, very wealthy men. Oasis Hospital by the way, does not engage in revenue sharing with other employees, from the lower tier rank and file. They earn the bare minimum, which is the a livable wage, but slightly above the poverty line there. As of today, I don't know their current financials now. But, I would assume that it is in the millions, that is profit too. Dr. Contreras is a very wealthy man, most do not know this because he presents himself as a devout Christian. He hides this financial side of him through religion and charisma. But, if he indeed were pious, then try walking into his clinic with a little money and sick[.] [S]ervice will be refused. Hence the dominant customer base are folks like myself from the UK. I don't want to say that Dr. Contreras Jr. is not religious, because he is, but money is his first priority above everything, then comes religion, kind of contradictory to the Christian faith. The money side to Dr. Contreras Jr. takes precedence over health care. . . . I guess this is the price to stay alive. I would rather spend $300,000 and be alive, then not be alive. I really thank Oasis for helping me, but don't go there thinking that you will only spend the bare minimum if you are very sick. Be prepared to pay a lot of money. . . . I figure that I will need to spend a total of 700,000 . . . to stay alive. Consider these are the words from one who is so convinced that they are right that he is willing to trust them with his life and with $700,000. Sadly, it is obvious that they are unprincipled con-artists who will milk needy people with cancer for all that they have. If you have terminal cancer, do not go with quacks and con-men. It is not true that "even if it doesn't cure me, it can't hurt," because every dollar you give such people funds more of their con-business and so contributes to the death of people who could have been cured by conventional medical science. If you do not have terminal cancer, do not go with them. If you do, expect your cancer to become terminal. Furthermore, watch out for quack remedies that are not so immediately fatal as the Oasis of Hope. The reason people are willing to trust their lives to such con-artists is that they have already bought into lower-level lies and misinformation by advocates of alternative medical misinformation. Get educated, and evaluate such things Biblically and rationally. Protect your family, your church, your community, and yourself from unconventional cancer "cures" promoted by thieves that come to steal, and to kill, and to destroy (John 10:10). 1.) Does the remedy have clear, properly tested and verified cure statistics? 2.) 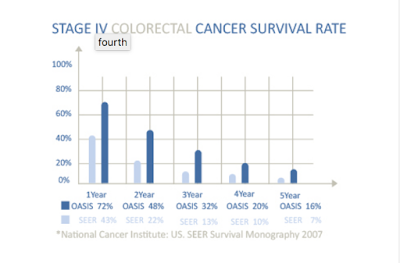 In creating these statistics, did they verify what stage of cancer a person had (e. g., I, 2A, 3B, etc. ), and that the persons supposedly cured actually did have cancer? 3.) Did they follow up on their patients to verify that they were actually cured, or was follow up spotty or nonexistent? Do they follow up on 100% of those they treat, or do they only publicize people who happen to still be alive while ignoring the rest? 4.) Do they utilize unsubstantiated testimonials about cures instead of objective testing? 5.) Have there been double-blind, placebo-controlled tests of the remedy, or only poorly designed tests, or no tests at all? 6.) Are their statistics independently verified, or are they only self-promulgated with no independent verification? 7.) Does the therapy require the rejection of basic laws of science or involve supposing New Age ideas? If multiple double-blind, placebo-controlled trials, that were independently verified, have proven that the particular unconventional treatment you are considering works better than chemotherapy (and chemotherapy, when employed by science-based medicine, does work) for the particular type of cancer you or a loved one has, then perhaps it is worth taking a look at it. After all, that is the sort of testing that real medicine undergoes--and passes. However, if the particular unconventional remedy you are looking into cannot pass this sort of science-based test (and the reason unconventional therapies are not conventional, but alternative or unconventional, is because they cannot pass science-based tests--if they could, they would become conventional), by rejecting the Biblically-based scientific method for unconventional "medicine" that does not work you are violating the sixth commandment by rebelliously refusing to preserve life. Start planning for a funeral, because the "medicine" you are going to spend vast sums to adopt will not work any better than a placebo. You are the simple person who believes every word instead of the prudent man who looks well to his going (Proverbs 14:15), and you will pay for your foolishness with your life. Sadly, I spent the time looking into the (falsely named) Oasis of Hope because of someone who I knew who had cancer and was going to go there. This person had been a True Believer in unconventional medicine for some time--despite the evidence that it is unbiblical and unscientific--and so, in the time of extreme trial, the person went with what had already been believed in for lesser difficulties. (When you reach for the homeopathic nostrum to cure your common cold, you are preparing the way for an early death, for in a future serious medicinal situation you are likely to opt for a quack placebo treatment instead of real medicine.) The person decided to go there despite the fact that the Oasis refused to give the evidence for their "cure" statistics. 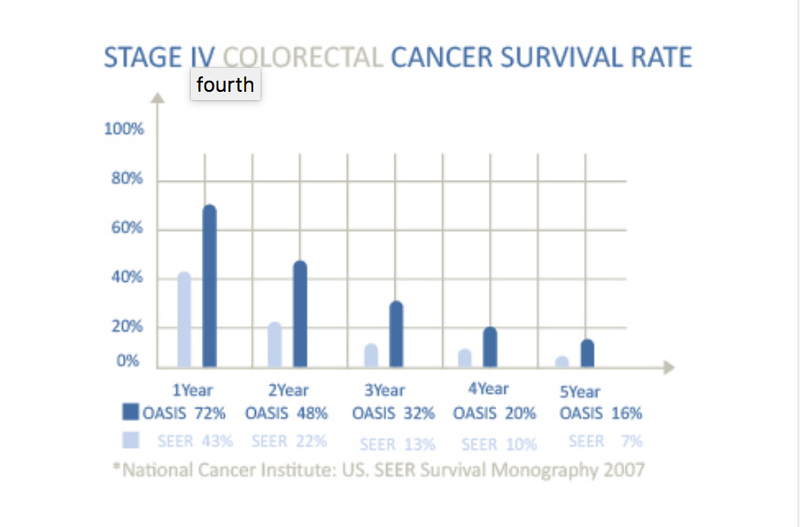 The Oasis at one point told me that they only disclose the basis for their "cure" statistics to those who attend their clinic, but when this person went there and spent vast sums of money on the Oasis's false hope, Contreras and his fellow wealthy con-artists still refused to explain how they derived their "cure" rates. After two trips to the Oasis and huge amounts of money wasted, the person died of cancer a few months later--the person lived no longer than if no treatments of any kind had been pursued at all, and almost surely less time than if real medicine had been employed, because placebos do not cure cancer. The only major difference between doing absolutely nothing and going to the Oasis of Hope was that Contreras had the family's money instead of the person's heirs. The Oasis of Hope is a scam, ripping off desperate and needy cancer patients with quackery. It should be renamed--perhaps Oasis of Lies--perhaps Oasis of Bankrupcy--perhaps Oasis of Quackery--or, best, the Oasis of Death. On a final note--while the Oasis of Hope offers a false hope, the Lord Jesus Christ, God's Son who has risen from the dead, offers real, certain, and eternal hope. Find out how you can be 100% sure that you are delivered from the penalty and power of your sin and will have eternal life by clicking here. A lot of people will not read your whole article and will skim it. 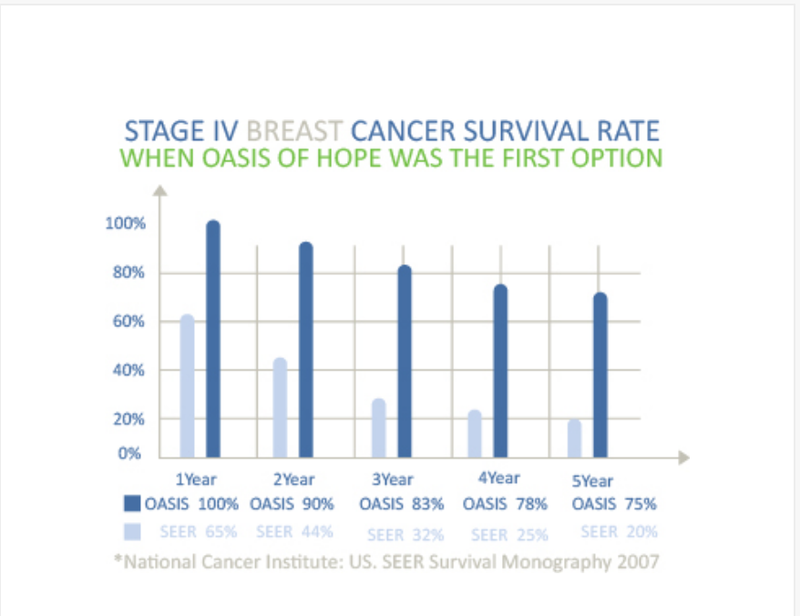 When they see "Oasis of Hope website prominently displays the following tables:" they will not connect that these statistics are part of a scam. They will not connect the dots. I suggest you make an alteration to the post to insure that people understand that Oasis is about what you are warning. That's a good idea--I'll plan on doing it reasonably soon when I have a chance to edit the post. Such an interesting read and a sad state of affairs. I got very interested in the Greece Method and the Oasis of Hope due to the fact that my managing partner of the firm I work for spouse arrived there two days ago. It was a shock when she was diagnosised with Stage IV Ovarian Cancer at such a young age. After several months of pumping some serum into her body, things have not improved so the next step was to fly out to Tijuana for more "intense" procedures. Knowing her as I do, she is a proponent of unconventional medication procedures, even though her father was an MD. When I had an issue with Carpal Tunnel, she recommended exercise to me, I had already scheduled surgery. She wasn't a proponent of surgery and seemed a little ticked off I went that direction.."So unnecessary!". Having survived a Pituitary Brain Tumor, Atrial Fibrillation Ablation and a Testicular Tumor... all being treated by conventional methods, I don't share the fear of medical procedures. It's a tragically sad how very intelligent God fearing individuals can be so easily manipulated into something as bogus as Oasis. I just can't find a way to talk to them about this, it's their choice. These folks are truly false prophets. Everything I have read or researched about this screams scam. I know they must of done some research as well, but their blind faith has led them here. So very, very sad indeed. All I can hope is that perhaps she will find some peace and maybe comfort moving forward. Great article Mr. Brandenburg. By chance, have you found and clinics in outside of the united states that are not a scam? There are so many clinics offering so many things that it is not possible to comment on them all. The fact that they are all operating across the border because they would get shut down in the USA is tell-tale, though, that they are fradulent. I investigated the Oasis of Hope because someone (who is now no longer alive because what they did failed to work) went there to get cancer treatment who I know. I have not looked into any of the other ones, and don't really have time to do it. If you apply the sort of questions asked in this post to any other unconventional medical clinic in Mexico, it is about 99%+ that you will come up with the same result. So glad I came across this article, THIEVES! Wish there was a way to spread the word and shut them down! How come when I search on the internet, I do not find much other that these Tijuana, Mexico clinics websites. I do not find any current United States news media press related information about them either. Why aren't more cancer patients blogging about these Tijuana, Mexico clinics and there experiences on the internet. Is it because they have died? Are they helping any cancer patients at all? The Tijuana, Mexico clinics are certainly helping--they are helping themselves to these dear needy people's money, and helping the cancer patients to an early grave. They are not across the border and away from US jurisdiction because they are so wonderful, but so that they can run scams and avoid prosecution. They are like a "bank" that is not based in the USA but that claims to be legitimate while being based on a tiny island in the middle of nowhere and away from the jurisdiction of the USA. Such a "bank" asks for one's money while promising higher interest rates, and everything sounds great until one realizes whatever money one has sent over is not coming back--except with these Tijuana "clinics" it isn't just money that isn't coming back, but loved ones that aren't coming back. Let's face it - Medicine in America today is probably the biggest scam there is out there. I read your article, and I believe that we should reach out and look for new cures. In terms of cure vs. milking you for all your money, what do you think the US system does? A doctor or a hospital or a specialist essentially has the same agenda as this center in Mexico - to get you on sustained medication so that you become an income stream. By the way, a for doctors getting kickbacks for additional procedures, what do you think the US system does with Pharmaceuticals? I think your perception of "cure" is completely skewed. It really comes down to longevity and quality of life. You diminish the power of human perception and the mind's ability to promote wellness. So this place is a scam because they can't validate their statistics. OK, I can understand your point. But what it really comes down to is an individual's freedom of choice. I have a close friend who recently made the choice to try this in lieu of the absolute degradation that the body goes through with Chemo. We don't have a lot of choices when we are in this situation, but the statistics are pretty clear from the US side. There is no cure for cancer, just a slow agonizing delay in the inevitable. It's in the way that you approach the situation that makes the difference. The TRUTH is that everyone dies, eventually, regardless of their faith. If one believes that that alternative form of treatment will help them then I say go for it. But do so with the knowledge of understanding that you as an individual have few probable, hopeful options. As a transplant patient myself, one really has to weigh the benefit of survival against quality of life. I'm sorry, but your baseless accusations against scientific medicine, about kickbacks, etc. are simply false, and very expensive placebos don't help with quality of life. You could not be more wrong. There are millions of US patients who have been cured of cancer with surgery, chemo and radiation. As a physician in the US system which you so glibly disparage, I see this every day with my patients. While many of these treatments are not always pleasant, the data is there. There are thousands of medical studies done by independent groups which confirm this. Conversely, I would challenge you to produce one double-blinded, peer-reviewed study supporting the practices of these clinics in Mexico. Physicians do not receive kickbacks. In fact, kickbacks are illegal. I actually would prefer that all of my patients were healthy enough that the did not require medication, but unfortunately this is not the case. I can assure you that I receive no additional compensation for prescribing medication. While US medicine is not perfect, it does not serve patients well to point them toward unproven and often harmful treatments that can endanger their lives. my brother of 27 yrs of age and my family just came back form the Oasis of hope. We also went with hope of good news and maybe a new way of fighting this cancer. all we got was a dirty room with vomit in the bathroom from last patient and out 30k. we were there 2 days when one of the nurses told us very quietly that the hospital did not have antibiotics for my brother and that she would really recommend we go back to the USA for treatment. She told us they were all fakes and that most of the people who went there died shorty after being there. She said that is why they ask for $ up front as they know these vitamins are not going to do anything but give you false hope. my brother was not getting any attention from any Dr. or any nurses. There were other patients at the front desk asking and yelling for their loved ones to be looked at. This place is a promise of fake hope and fake advertisements. Let me start by saying that I am highly disappointed in the lack of professionalism from everyone at Oasis of Hope. My family and I went there with our hopes very high in your organization, only to find that all your Oasis claims and advertises is false. Let’s start with the cleanliness of the facility: The bathroom of the room we were given for my brother was dirty. The floors were not mopped and sheets on the bed were never changed. The bathroom had what I was later told vomit from the last patient whom had stayed there. The “medical staff” this so called medical staff, that 24 hr nurses you added to the program we signed up for was non- existing. The time we were there we had to go to the front desk to ask when the nurse was going to come see my brother. The staff there must really not like working there as they were very rude and did their job with such disgust. Dr.Francisco we met and saw 1 time after meeting him. When we would ask for the Dr. to come and tell us what the process would look like they would always send in a nurse to let us know he was no available or like at the end they sent in a person whom later I find out was not an actual Dr.
Dr. Contreras is exactly what I have read about him. HE IS A BUSINESS MAN, a great SALESMAN. He may be a good Dr. But I never saw that. I only saw him once when we asked for him when we arrived and when we were asking for our discharge papers. He never was able to answer what he was going to be doing for my brother to treat him. He just kept saying that he knew what had to be done and that he would send the program to us soon with the nurse. It was due thanks to a nurse whom told us that this Oasis of hope had no antibiotics for my brothers infection, this is a day later after the Dr. Francisco said they would get him on antibiotics immediately. She also said that this hospital would not do much, other than stuff them with vitamins. She let us know that most people there don’t last very long and most die soon after they get there. This is what really scared us. Thanks to her we were made aware of the false information your Oasis had offered. It is very sad that you work for a company whom you know are fakes, they represent nothing but death to the patients they are stealing from. After being at the Oasis I have seen why people are asked to pay upfront. YOU all don’t have any remedy for any of these people they are all there to die. They go there with hope of a longer life and you all just take the money and wait for them to die. You and your whole organization should be in jail. I believe in a higher being and I know he will make you all pay for all that you are doing to all these people who are so desperate to find hope of life. You and your organization bring nothing but death to their feet for $30,000 and some vitamins. It’s at this moment that I really hope there is a hell for people like you and you organization at Oasis. I pray that the universe one day puts you, someone you love and every corrupt person at the Oasis in the same position we are in. You are all the bottom feeders of Humanity. KJB, I really have no idea where this naive trust in the medical-industrial complex is coming from and your absolute refusal to admit that not everything is on the up and up with them. Granted, there are scams all over the place and not every purveyor of alternative therapies is necessarily legitimate either. But this gung-ho attitude of believing in the American medical system and your seemingly refusal to even question them is sad. The fact that you use the word "complex" to describe an industry with thousands of companies and millions of doctors demonstrate that you are a little too bent toward conspiracy theories for your own good. It would take a mighty conspiracy to unite all these disparate entities behind one common goal of deceiving the American public. Of course there are bad apples in every industry. Let's say, for example, that you came across a fraudulent pastor, and we all know they are out there. Would you label Christianity as a whole fraudulent as a result? Trust in modern medicine is not naïve. It is based on hundreds of thousands of studies that you can look up for yourself! Sometimes they are wrong, but going toward completely unproven, unstudied alternative therapies is not the answer. I think you make some good points here about Oasis of Hope, and I was frankly uncomfortable with the path our mutual friend was taking in pursuit of a cure. As far as it goes, you have done a thorough job exposing that place for what it is. I cannot, however, put the kind of faith you do in modern science. For one thing, in far too many ways, modern science and the medical community is itself in rebellion against God. For crying out loud, they believe you can make a woman with a scalpel. Many of the gender-benders and shape-shifters have an MD from a reputable university. I think that point is over-emphasized on your part. Having spent a lot of time in doctor's offices over the past few years in an effort to help my wife find relief from the constant pain she experiences, I can tell you that the quackery is not limited to the alternative side. A Ph.D. at the University of Utah told my wife to take Tylenol and Ibuprofen in unseemly doses, and that would make her feel better. When that didn't work, he prescribed Lyrica, then increased the dose until it was nearly lethal. Another doctor at the headache clinic at the same University, where they practice "conventional" medicine, took her off the Lyrica in near record time, almost killing my wife. Johns Hopkins University accepted my wife as a patient - they who are on the "cutting edge," one of the foremost medical clinics dealing with diseases like the one my wife has. We went through their application process, which included phone interviews and too many written biographies and descriptions of the illness. We were told that it would take months for her to be accepted and that chances were they wouldn't see her. So when they accepted her as a patient, we bought our tickets and flew to Baltimore. Within 10 minutes of the appointment, the doctor who had no doubt completed many hours of medical training and was subject to much peer review told us that there was nothing they could do for us and how in the world were we paying for this anyway? People are frustrated with American healthcare. Should they be? We probably have the best healthcare in the world. But so much of it is clogged up with politics and quackery, even in the "science" side. I do not blame people for looking into alternative medicine. They should do their homework. There are many claims, and it can be difficult to sort through all of it. But to say that we should stick with the medical establishment is to say too much. "by rejecting the Biblically-based scientific method for unconventional "medicine" that does not work you are violating the sixth commandment by rebelliously refusing to preserve life." I can appreciate that you have strong feelings about this. But that is too much. Thanks for the comment. I'm sorry to hear about your disappointment in what you heard back concerning your dearly-beloved wife. God commanded the entire human race to subdue the earth and have dominion over it in Genesis 1, and the Dominion Mandate includes study of the world and careful testing to see what the laws are that He put in place. The scientific method is a necessary consequence of Genesis 1. I trust that you can see that validating what is true by repeatable, double-blind testing has nothing to do with whether or not a particular person with an M. D. is righteous or unrighteous, whether a particular hospital makes it easy or hard to see patients, and so on. None of those things relate to how a particular therapy must be validated as conforming to God's natural laws that are testable and verifiable. It is a great blessing that we do not need to place our faith in whether men are righteous or unrighteous, or a particular hospital has great or horrible customer service, but we can act rationally based on what God said to do in Genesis 1 instead. When you state that people "should do their homework," if you are not referring to repeatable and verifiable testing, what are you referring to? If that is what you are referring to, why the objection to my statement? How else has God told us to figure out what works in the world that He designed? If an unconventional treatment actually does have verifiable and repeatable benefits, won't it become conventional? If we can't verify that it works by actual testing, why would we treat disease with it when we would not fly in an airplane that has not had its design tested so that we know that it actually flies? As I took my "dearly beloved" wife to visit doctors, we were dismayed by the number of times the doctors would spend the entire visit looking up her disease on the internet with hardly even a glance in our direction. They would be looking at articles we had already read, and we would point out what was in the article because they were skimming it as they talked to us. One doctor cursed repeatedly, "you are scaring the bleep out of me," he said. Another cried and said he wished he could help us, but that we had to do something. When we went to the "alternative" doctor - a licensed D.O., by the way, he was actually educated about our disease, and told us things we didn't know, information not available on WebMD or the CDC website. What we have learned is that it isn't necessarily a matter of there being no research or practice of the scientific method on the alternative side. There certainly is some of that. The problem is that science sometimes ignores the research, not because of a fault in the research, but because of who did the research. In my wife's case, insurance companies have actively sought to supress or even shut down research that counters their standards. The research is there, but insurance companies also have lobbying power. The tide is turning because of a dramatic increase in the disease, and because some powerful political figures have contracted the disease and changed laws so that doctors can treat it according to the research instead of ignoring it as so many do. Could you please explain how (all, competing?) insurance companies have police powers to shut down valid research, and why it is in their financial interest to insure sick people who cost them money instead of healthy people who pay premium s but don't cost them anything because they arencured of disease? Could you also explain what specifically is the type of scientifically valid research hundreds of competing insurance companies conspire together to reject, and how they keep the conspiracy going? Please excuse typos above from some mobile phone issues, thanks. I'm surprised by that question. Lawyers make a lot of money fighting with insurance companies who don't want to pay for things. Are you thinking that the insurance companies operate out of a pure desire to help their customers? There are diseases that are rare or unusual, and the research simply isn't there. My father, for instance, died with a rare blood disorder. At the time, the protocols called for the spleen to be removed. Today doctors tell me that was probably the wrong move and more than likely killed my dad. But when people are sick, they can't always wait for the kind of research that you demand. In my wife's case, two significant factors affect the science. First, the disease is not widespread enough to warrant funding for research. Secondly, there has been a significant political battle between two opposing forces within the medical community about the nature of the disease that have affected the treatment options. The treatment options are available, and the science is there, but insurance companies have sided with one side over the other, not because of science, but because one treatment is more expensive than the other. Thanks for the question. There are large numbers of insurance companies with people in them with all sorts of conflicting motives. One very common motive is to drive their competition out of business, and if they cover a treatment that cures people while their competitors don't, that would seem like a good way to attract customers long-term--or at least something that one more more of the hundreds of insurance companies would want to do. Thus, I would still like a clear explanation of how (all, competing?) insurance companies have police powers to shut down valid research, and why it is in their financial interest to insure sick people who cost them money instead of healthy people who pay premiums but don't cost them anything because they are cured of disease. Isn't it true that the price for new treatments for many diseases make treatment more expensive, and new treatments for many other diseases reduce cost, and yet insurance companies still cover the new treatments that go both ways? Why is the disease you are speaking of the exception? 1.) "the research simply isn't there." 2.) "the science is there"
3.) (Previous comment) "The research is there"
How do you know the science is there if the research isn't there? Or is it there? Not well written, but contains some of the information you are looking for. I was at a wrestling tournament when I typed my responses. I tried checking the grammar, but it was noisy and a lot of interruption, thus the incoherence. While I recognize that this can be a very emotionally charged issue for many, the fact that blood tests evidence that people who claim to have chronic Lyme do not have antibodies for Lyme disease (or only residual antibodies from the previous existence of the undisputed normal Lyme disease), the fact that the treatment protocol advocated by chronic Lyme partisans does not seem to work better than a placebo, and other similar factors would appear to be much more likely explanations for insurance companies not covering the alleged disease than a conspiracy between hundreds of competitors who want to drive each other out of business, as well as non-profit researchers, medical colleges, etc. However, as I mentioned above, I do not have time to discuss this matter at the moment, although I would be interested, as I have time, in reading your responses to the questions I asked if you wish to reply to them. I am quite satisfied, though, that if alleged chronic Lyme is the reason for my alleged "overstated bloviation" and chronic Lyme is the proof of medical conspiracy theories, that my statement is quite able to stand, and I could in good conscience repeat my overstated bloviation again, as, to my mind, the conspiracy theories appear to be what is overstated, not the scientific consensus. I trust that neither of us will take personally or view disagreement here as an attack on one or the other's integrity, compassion, etc. I haven't said much under this post in this comment thread. In general, I think Thomas combats a problem among professing Christians, including independent and unaffiliated Baptists, who seem to be even a more common prey to quackery. For that reason, I'm thankful for Thomas, who exposes himself to a lot criticism and hatred because of what he writes. I'm guessing I'm lumped into the hatred as well since this is my blog, or at least anywhere from dislike to strong dislike. With the above being said, I read Pastor Mallinak's comments and I know his situation. What he writes makes sense to me and fits into the weaknesses or blindspots in free market economics as it relates to health care especially. We also live in a sin cursed world and the curse of sin shows up everywhere. Generally, the free market is more friendly, I believe, to straining out the problems than any other economic system. However, when it comes to research and development, how insurance companies reinvest their money back into their company, they think about shareholders. Resources have gone toward what will bring in the most profit. Rare diseases or inflictions don't get the attention. I don't know enough to understand the effect of this, but I see Pastor Mallinak and his wife experiencing this firsthand. Resources have not been allotted to something that won't bring as much profit to insurance companies. Lyme disease had not been on their radar in the earlier times, I could see. People could not get answers from the medical community. Doctors in the mainstream, especially out West, could sound like quackery as it relates to this disease, because they don't have the research. Without the help available, folks have to go to what might be called alternative medicine, something they have had to research themselves and experiment with themselves, even out of sheer helplessness. If I had a loved one with the disease, I'm especially thinking a wife or a child, and there was nothing mainstream being offered to help, I would say that it looks like I'm going to have to do the research myself. The insurance companies aren't putting the resources toward it, because it wouldn't be worth the investment, because too few people had the disease. So what do you do? You go outside the mainstream, because that's the only place to go. Could something be found out there? Maybe. Maybe is better than, no. You explore options when you care. The exploration of options is not the validation of alternative medicine or forms of quackery. It's also to say that there are weaknesses in the system. I've seen it myself close hand. With everything above being said, I still think Thomas's writing has been worth the service to point out a major problem. Both Thomas and Pastor Mallinak's points are good to think about. I don't quite understand this site. It seems to be mainly a religious site that talks about spiritual issues. There seems to be this health issue that once in awhile crops up and sometimes I wonder if I am at a spiritual blog or some type of Web MD site. Regardless, here's a third option for you: you are all wrong. I am a Calvinist, and as such I don't believe in insurance, conventional medicine or alternative medicine. You simply are all wrong. What we do has no affect on our health: eating right, exercising, getting vaccinated, not getting vaccinated, etc. Nothing in life matters because it's all predetermined anyway, and we have no power to think that by eating right or going to the doctor we can change anything. None of us have any choice in anything we do, healthwise or in anything else. To think that we have a choice or free will go to the doctor is the height of arrogance. I was fated to write this blog post, for example. I did not "choose" to do so. It's sad to watch people who think any "decision" they make can have any affect in anything in their lives. Thanks for your warnings about medical scams in several of your articles. I have seen people in desperate situations make emotional leaps where logic and true science should have prevailed and they have paid for it both financially and physically. You do seem overly incredulous when it comes to the sorts of problems that exist in our current medical system in the US. In light of this apparent incredulity, I would like to ask your opinion on why there are insignificant numbers of creationists teaching in classrooms if deference to markets and science is all it takes to thwart a "conspiracy theory" that would keep them out of such positions? The problem is that many times, the conclusions and results aren't updated with the new knowledge. Any man, scientist or not, can become doggedly attached to his own previous conclusions due to pride if nothing else. It takes humility to admit that previous conclusions, and especially actions based on those conclusions, may have been wrong. The longer one acts under the wrong impression, the more difficult it is to admit a fallacy. Unfortunately, there is also the potential for this pride to influence well-meaning practitioners for generations. Take for example the research of Ancel Keys into the correlation between dietary cholesterol and heart disease. There are indications that his research was tainted by bias both in the hypothesis stage (forgivable) and the conclusion stage (unforgivable) of his research. His research began the low fat/high carb dietary recommendations and are the basis for the prolific Food Pyramid. Recommendations of the AHA and the ADA are still based upon assertions from his research. Adherence to these recommendations is a requirement for the maintenance of many doctors' license to practice medicine. Particulars aside, I hope that the brief explanation above will help you see how seemingly valid research and seemingly free markets can indeed be part of a conspiracy. I think that Dave has taken a proper and balanced approach in this discussion because he rejects obvious quackery and proven scams, while remaining open to different opinions on matters where there has been significant muddying of waters or a dearth of broad research. You have done well in documenting quackery and scams, but I believe you go too far in trusting too much under the umbrella of "modern medicine" and seem to be unable to see how easily bad science can be codified and broadly practiced even when evidence exist that current practices themselves are potentially deadly. I believe that the result of Christianity's influence on Western Civilization combined with the previous advances of liberty in the US have led to some of the best medical understandings and practices in world. For the most part, modern medicine is helpful and not hurtful, but there are some major blind spots especially involving nutrition and certain diseases/conditions. We should be thankful for the blessings of modern medicine but we should also be thankful for the broad availability of knowledge and alternatives when modern medicine seems to have insufficient or incoherent answers. Jonathan, I appreciate your post and I think you are sincere. Although,I do put up my antenna and am very leery whenever someone starts to mention "nutrition" as you did in your post. If nutrition and the American diet were anything to be concerned about, I think doctors would be trained on this. Anyone who focuses on nutrition, in my book at least, has relegated themselves to the sidelines as a conspiracy theorist: "there are some major blind spots especially involving nutrition and certain diseases/conditions." It's just not that big of a deal. Proper medication and getting the correct dosages is more important. While I do think you are sincere and I appreciate your input, I couldn't let your comments go by unchallenged. I don't know what point you are trying to prove, but it isn't working. If you took a few minutes to look at what doctors learn, you would find out that they do study nutrition. Perhaps that would be a better use of your time than posting anonymous comments. If you are the same anonymous as the one above, while I am not a Calvinist for reasons I lay out at faithsaves.net/soteriology/, you are misrepresenting Calvinism just like you are misrepresenting doctors. Thanks for the comment--good points to think about. Certainly there is "so-called" knowledge that is not really knowledge (of course, in 1 Tim 6:20, the word "science" is simply "knowledge," gnosis). And, of course, anyone can be stubborn and not want to admit something; Einstein did not want to admit that there were black holes and that a "steady state" model with no beginning for the universe were contrary to his own theories. And, of course, new data needs to be employed as we continue to seek to subdue the earth and have dominion over it. I do not have time to comment on the specific example that you gave, although I think that "all fat in any amount is bad" to "all fat in any amount is good" is an oversimplification on both sides, and it is not true that people who think real data require adjustments in the food pyramid (which actually has recently been adjusted) are going to lose their medical licenses; that would, at least, be very surprising to the doctor and professor teaching the very interesting class on nutrition I have been listening to from The Great Courses (https://www.thegreatcourses.com/courses/nutrition-made-clear.html). Finally, I have never said that one needs to place a blind faith in what a medical doctor says. I believe that since so much of unconventional medicine is based on blind faith in people, its advocates like to assume that medical science has the same basis. I am arguing that Genesis teaches that there is a particular method--the scientific method--through which we subdue the earth and have dominion, and that is how we get knowledge in the scientific realm, and also that, over time, although the road has twists and turns, knowledge in medicine is improving and there is no Grand Conspiracy to suppress the cures for disease, just as in engineering airplanes have been getting better designs over time and there is no conspiracy to suppress good airplane designs. One cannot deny that there are grand conspiracies concerning airplanes. Does anyone really still believe that a commercial jet airplane caused both of the World Trade Centers to collapse? That in and of itself is impossible, for so many reasons. I don't mean to bring 9/11 into this, but simply use it as a point that there are grand conspiracies that are at least attempted to be foisted upon the world. Granted, I don't think anyone still believes the official story, but the government would still to this day claim with a straight face that jet airplanes brought down the towers. To deny that "grand conspiracies" do not exist is not a factual statement. Yes, commercial jet airplanes caused the World Trade Center (there was only one Center, not a plurality of "World Trade Centers," and there were two airplanes, not one airplane, sorry) to collapse. I'm not going to let this post get derailed on 9/11 conspiracy theories, though. I had a lot to say following Thomas' most recent response to me. Rather than leave a blog-post length comment, I decided to write it on my blog and link to it here. Feel free to continue the discussion as you see fit. Regarding the creationism aspect of my comment, I was only using it as an example of how cultural bias, if nothing else, can cause truths, derived by means of practicing true science, to be suppressed. (I am not under the impression that there is a quarterly meeting of some secret cabal that determines the ways in which science or medicine would be undermined for their nefarious goals to be met, so charges of “conspiracy theorist” are irrelevant here.) Do you agree that it is possible for truth to be sufficiently suppressed, even in medicine, so that trust in the “mainstream” could be justifiably undermined, similar to how the Christian’s trust in most scientist’s conclusions regarding geology is untenable? Again, my Keys example was only given to demonstrate how controversial and even faulty understandings can be codified and practiced broadly, so the details of one’s standing regarding fat intake is irrelevant to the discussion. Do you agree that there have been and could currently be instances of the broad use of practices based upon poorly acquired information? I am glad that you do not advocate for blind faith in what medical doctors say. I guess I’m realizing that you have a particular axe to grind with particular unconventional or alternative medical practices for particular diseases. It would be good to remember that nearly all of what is now considered “conventional” was once untested and unproven and not standard. I would encourage you to be a little less broad in your characterization of those operating outside of conventional medicine and more willing to accept that there have been terrible abandonments of the scientific method within conventional medicine. If your allegiance is to truth and the scientific method, then I see no other choice. Personally, due to my circumstances, it has been more my concern to be aware of poor standard practices in modern medicine than to seek alternatives. However, I do not find any biblical reason to paint those who have exhausted mainstream medicine without being helped and are seeking unconventional alternative remedies as being sinful. When Jesus raised the bar on the 6th commandment in the NT, he clarified that the essence of murder was hatred and anger. This is hardly the case with those at the boundaries of human knowledge on a particular disease who continue to seek the well-being of their loved ones. Maybe you could clarify your position to indicate more of a tolerance for those with rare, under-studied diseases seeking to be the guinea pigs themselves in unconventional trials in order to hopefully find relief in some form. Maybe that is your position, and I have only misread your intent. Thanks again for your in-depth study and your passion for warning against scams and quacks. I want to say thank you for writing what you did about this on your blog. May the Lord give you, your wife and kids grace as you face this. Of course, I have no more answers than you and other sufferers with Lyme's and its effects have, but I respect your choices, empathize with your trials, and ask the Lord to strengthen you for what He has for you. I don't think that the geology example is the same thing because there, again, we are talking about origins science, not experimental science. If we want to find out if a rock has certain chemical properties such as whether it will dissolve in salt water, etc., both creationists and evolutionists would come to the same conclusions based on the same experimental data, even if they describe very differently the origin of the rock in past time, something that cannot be repeated experimentally (we don't have 4.5 billion years to do an experiment and can't ask God to make another universe). It is almost certain that mainstream science is wrong in various areas and will continue to change based on new information as it comes in. It is also certainly possible that various people will attempt to resist change for various reasons, but as more and more properly derived data come in, this will become more and more difficult to maintain. And, yes, of course almost all, or, indeed, all modern scientific medicine was once non-standard. We couldn't do EKGs or MRIs or brain surgeries or use vaccines to prevent polio until we discovered them and proved that they worked. Before that time they were non-standard. Once they were introduced and proven to work they became standard. Where mainstream science and experimental data that we currently have are wrong we have no way of knowing that this is the case, and it is rational to act based on the best evidence that we currently have, even though it is almost certain that some of it is wrong. It was rational to act based on Newton until Einstein proved him wrong, even though Newton's statement about gravity was actually incorrect (but very close except in extreme conditions) the whole time. It is not rational to leap from the fact that there are things we don't know yet to unproven and untested quack remedies. The fundamental difference between at least the overwhelming majority of unconventional remedies and scientific medicine is that the former is not based on genuinely verifiable data but on other things such as personal testimonies ("I did this and I felt better afterwards," a post hoc ergo propter hoc fallacy), mystical revelations (homeopathy, etc.) and things other than the scientific method. Furthermore, do partisans for these remedies tend to admit that their remedy is a fake when it fails experimental testing, or do they come up with explanations for why it fails the scientific tests and continue to promote it? If an unconventional remedy actually works, it will be able to be tested, pass the tests, and will become conventional, because there are too many people involved to successfully suppress what works and what successfully passes tests in the long-term. In the short term, perhaps, but in the long-term this is very difficult. I agree with you about trying to find out what is in the boundaries of human knowledge not being sinful, but I think I would place very few unconventional remedies there. I would agree with being willing to be a guinea pig in real clinical trials in remedies that have a real chance of working. But is this where the large majority of unconventional remedies are? For example, a search for "chronic Lyme" on Pub Med yields 1,192 results. Is this alleged disease really at the boundaries of human knowledge, or does the knowledge we actually have make it highly dubious? Furthermore, political pressure from unconventional medicine advocates have led to the federal government funding clinical trials of unconventional remedies that have cost taxpayers several billion dollars (https://sciencebasedmedicine.org/tens-of-millions-for-cam-research-and-its-all-on-your-dime/), and this funding continues every year at a high rate. Do they really just not have enough money to do tests of their remedies, or do they just not work? Q. 135. What are the duties required in the sixth commandment? A. The duties required in the sixth commandment are all careful studies, and lawful endeavors, to preserve the life of ourselves and others by resisting all thoughts and purposes, subduing all passions, and avoiding all occasions, temptations, and practices, which tend to the unjust taking away the life of any; by just defence thereof against violence, patient bearing of the hand of God, quietness of mind, cheerfulness of spirit; a sober use of meat, drink, physic, sleep, labour, and recreations; by charitable thoughts, love, compassion, meekness, gentleness, kindness; peaceable, mild and courteous speeches and behaviour; forbearance, readiness to be reconciled, patient bearing and forgiving of injuries, and requiting good for evil; comforting and succouring the distressed and protecting and defending the innocent. Q. 136. What are the sins forbidden in the sixth commandment? A. The sins forbidden in the sixth commandment are, all taking away the life of ourselves, or of others, except in case of public justice, lawful war, or necessary defence; the neglecting or withdrawing the lawful and necessary means of preservation of life; sinful anger, hatred, envy, desire of revenge; all excessive passions, distracting cares; immoderate use of meat, drink, labor, and recreations; provoking words, oppression, quarreling, striking, wounding, and whatsoever else tends to the destruction of the life of any. Finally, I think that if you agree that we need to follow the scientific method we are going to both be on the right track, so I will probably refrain from further comment; feel free to add in whatever you wish, though. Thanks. Whether the long-term damage caused by Lyme disease is chronic or post-Lyme, both sides of the debate acknowkedge that a certain percentage of Lyme patients suffer long-term damage. I frankly don't care what name it is given. We have yet to give an adequate explanation for this condition, and conventional medicine currently makes no attempt to fix the problem other than to prescribe dangerous, mind-altering drugs that only serve to dull the pain.This in part because the medical community considers this to be a thing in people's heads rather than an actual medical problem. I think the Westminster standards quoted above would in fact justify further attempts to relieve the suffering of those in affliction where conventional medicine is failing them. Are you suggesting that modern medicine has a solution for "chronic lyme disease" and has chosen to cover it up or not implement it? If this is your argument, what evidence do you have for this? Isn't it a more likely explanation that modern medicine doesn't fully understand why some patients experience these symptoms chronically, not for want of effort and research? We don't fully understand how to eradicate cancer, HIV, or many other maladies either, but this has nothing to do with lack of effort or desire. Human ability is limited and will always be so. Alternative medicine has shown no ability to cure "chronic lyme disease." When it is subjected to double-blind, placebo-controlled trials, it does no better than placebo. Practitioners who peddle such "cures" are offering nothing more than a false hope. There is no known cure for those who suffer long-term damage caused by Lyme disease. My complaint is partly against conventional medicine and partly against insurance companies. Conventional medicine actually claims to have the cure for Lyme. IDSA doctors tell us that after a 3 week treatment of antibiotics, a Lyme patient is cured. The bacteria that causes Lyme is dead, with nothing more than the presence of residual antibodies. Accordingly, these doctors will recommend a regiment of pain medication and various forms of meditation and counseling to teach a patient to handle their pain better. Conventional insurance sides with IDSA, and only offers coverage for that approach to the disease. They routinely deny coverage for long-term antibiotic treatment, and doctors who do not follow the protocols established by the IDSA risk losing their license if an insurance company discovers that they have not been following "best practices" and decides to sue. In our case, we are grateful to belong to Samaritan Ministries, who have given us freedom to pursue treatment. Though there is no known cure, we must continue to combat the disease. When we do not, my wife's condition worsens. Looking for a treatment that "works" might not be very scientific, but in this case, I think it is all we have. As far as cancer, while it may be true that medicine cannot fully eradicate this disease, there are a variety of treatment options available, and many have been cured or successfully brought their cancer into remission. Patients are not sent home with a bottle of Tylenol to manage the pain. Even in terminal cases, quite often the patient dies fighting the disease. They at least have that option, while Lyme patients are told that there is no problem - it is an "alleged" disease (an insulting adjective for those who suffer). Unfortunately, conventional medicine does not always have the answers and this seems to be such a case. Sometimes, frustrated patients feel the need to "do something" which often leads to many dangerous treatments without proven scientific benefit. I am sorry you and your wife are going through this and I pray she finds recovery at some point. I don't have time to get into a discussion of this with you, but I wanted to make clear that I am by no means denying that Lyme disease can result in long term neurological damage. I would also love it if neurological damage had a known cure; it would be great if my mother's rheumatoid arthritis could be cured. I also am all for limiting pain meds if necessary--I'm not saying it is comparable at all, but when I broke a bone a while back I didn't take any pain meds even though they gave me some. I only posted this comment to clarify that by calling chronic Lyme an alleged disease, I am questioning the claim by its advocates that Lyme bacteria are still present in the body; I am not questioning the reality of permanent neurological damage any more than I would question if someone was made lame by polio that such a person had a permanent negative effect from polio. Such a person would not have chronic polio--the polio would have been cured, but it would have left its mark on its unfortunate victim in the meantime. Giving a person made lame by polio anti-polio treatments would not do anything to help the person further. If Lyme bacteria are not actually there, then giving high-dose antibiotics for something that is not there does not repair neurological damage. I hope you have evaluated whether or not such antibiotics make a person more likely to suffer from antibiotic resistant diseases / a "super-bug" in the future and other potentially dangerous side effects and so would actually harm, not help someone who is already suffering from neurological damage that cannot be cured by antibiotics. The antibiotics only make sense if Lyme is still there hiding somewhere, not killed. Otherwise it makes more sense to use the money to give the suffering person joy (a nice trip on the "bucket list," a very comfy pillow that helps reduce pain, home improvements that help the person have things easier, etc.) instead of using that money loading the person up with antibiotics. I only posted this to clarify that I was not attempting in any way to insult you or trivialize your wife's suffering in any way by referring to "alleged" chronic Lyme; I only mean what I would mean if people started speaking about "chronic polio." My your wife and you find special comfort from the God who knows what is best for you and showed His love for you at the infinite cost of His dear Son. There are actually quite a few diseases that have no cure, and yet receive on-going treatments which insurance will cover. Diabetes and Rheumatoid arthritis are two that come to mind immediately. Though I have no medical training, my understanding is that the treatments are designed to relieve suffering and improve quality of life. That is what I am trying to do for my wife. The truth is, conventional medicine offers one form of relief that works for a small percentage of those who suffer long-term damage from Lyme disease. Many who suffer chronically from Lyme are not helped by narcotics or opiates, or by Lyrica. You don't want to debate the possibility that the Lyme bacteria may still be alive in some patients. That is fine. ILADS says that the Lyme is still alive, IDSA says it isn't. I suppose that a person must decide which one is correct. As for me, I try to be reasonably sure that a treatment will be helpful to my wife and will offer some hope of actually relieving her pain and improving her quality of life. Thank you for the interaction on this topic. I hope that by commenting, I have helped some to consider a different perspective on these things. I'll make this my final comment, as I don't want to belabor the issue and people can make up their own minds. I am a physician, although I do not specialize in infectious disease, so I do have a fair amount of real world experience in this area. I don't think your comparison of "chronic lyme disease" to diabetes and rheumatoid arthritis is a fair one. Diabetes and RA are strictly defined clinically and have treatment protocols that are based on thousands of double-blinded, placebo controlled trials. While these diseases usually are not curable, their treatments have been proven by these trials to improve symptoms and prolong life. These trials are what guide treatment algorithms because they have strong data behind them. It has never been established by clinical trials that "chronic lyme diease" actually exists, if you use a definition that the patient has a chronic Borrelia Burgdorferi infection- i.e. active spirochetes in their system. Many patients report chronic post-Lyme symptoms, but this is an entirely different issue and has not been linked to a chronic infection. As I said before, no high quality studies have found benefit to long-term antibiotics. I must say that in the medical community ILADS is not thought highly of. They are basically a lobbying group that pushes a certain point of view, not supported by clinical evidence, that is at odds with the NIH, American Academy of Neurology, Infections Diseases Society of America, the CDC and others. This is not a flip a coin choice between the IDSA or ILADS. ILADS represents the perspective of a tiny percentage of the medical community in this country. Unfortunately, the medical community has a long history of pushing unproven treatments that do more harm than good, which is why for several decades the medical community has only advocated for evidence-based treatments that have strong data behind them. Chronic lyme disease and long-term antibiotics, unfortunately, do not. My name is Tina (Vancouver, WA). I strongly disagree with the author of this blog and have my own story to tell that I am pretty sure will not be approved by the blog author!!! It is very sad to hear this from the person who hasn’t experienced the difficult moments in life as cancer. The only what I see from reading of this blog is envy and jealous intention. I noticed that the author positions himself as a pastor that needs to serve people and show God’s love. Unfortunately, none of this is reflected in this article. I speak from my own experience. My mother was diagnosed with endometrial cancer with metastasis in lungs and liver. The conventional doctors here in Vancouver, WA gave her only 6 to 9 months to live with harsh chemo as a treatment. We were VERY BLESSED to hear about Oasis of Hope and Dr. Contreras’s treatment protocol. After 2 visits and only the alternative methods of cancer treatment that is available anywhere in the world but not here in the US, Canada, England, she had her tumors contracted up to 30% in volume. By less than a year, the CT scan showed no tumor at all! It is about 2 years as she was diagnosed with cancer and she is alive and doing perfectly GOOD comparing to what the local oncologist predicted her! Isn’t that a miracle from God, is it? We truly trusted Jesus that the Oasis of Hope is the right place for her treatment. God gave her that HOPE that she will be cured. We believed in God and He gave us the right knowledge about the cancer and the alternative treatment through Dr.Contreras. We followed all the protocol coming back home INCLUDING THE DIET which is in my opinion is 99% of the success. We did everything that we must do and what was available to us but Jesus did the rest. I accompanied my mother during all 4 visits and we plan to go there this May as well for the immune therapy. All these times, I met people from around the world (not only the US) testifying their blessings that they received by going through the Oasis protocol and their faith in God. I haven’t heard anything even similar to that when visited the local oncology clinics with my mother here in the States. I would not speak about the Armani’ suits or facials that the author-pastor so enviously refers to in this article and “whatever” properties he dreams about as all of this is pure jealousy and spite. The author doesn’t mention anything about the oncologists here in the US who receive 75% of their income as commissions from harsh chemo/radiation treatments that they prescribe and 5 of 6 oncologists never put their family member on the same harsh treatment as they do with their patients. Compare to all blessings that our mother received through the Dr.Contreras’ treatment, I wish to see at least something… good, generous and positive in nature of Samaritan that other people have experienced from the actions of the article’s author. Unfortunately, there is nothing but this dishonest, mercenary and biased piece. The author of the piece is not a pastor. Number one wrong. Second, I'm quite sure, very sure, that the one who did write it did not write it out of jealousy or envy. You cannot judge that motive. Number two wrong. You really wrote nothing to debunk what he wrote, however. You just gave your own experience, which none of us can accredit or discredit. We just have to take your word for it. I am glad to hear your mother is doing well--that is fantastic. Mr. Contreras claims to have the remarkable cure statistics in the post, but he refuses to allow them to be independently verified. You have gone there twice and given him lots and lots of money. Could you please explain why he does not get an independent source to verify his cure statistics? He would win a Nobel Prize if they were not fake, and he could both "help" a lot more people and make a lot more money if he could prove they were not fake. Thanks. If your mother was healed by a miracle of God, was it Contreras' therapies, or a miracle from God? Could you please also give me your reliable source for your claim that oncologists receive 75% of their income from commission? For a doctor in the USA to get any commission, at all, to prescribe services is actually illegal and would cause one to lose his medical license. What is your source for this? Are you sure it is not radically inaccurate misinformation? Are you just trying to cover for the radically unethical practice of the Oasis of Hope of giving their people commission for every test that they do on people? Thanks. Answering these questions will do a lot more good than wild and totally unfounded accusations of envy, jealousy, and spite. It's not commission they are receiving. It's known as "buy and bill": https://www.forbes.com/sites/robertpearl/2014/08/07/are-oncologists-recommending-the-best-treatments-for-patients/#76f3f8942d56, http://www.coapharmacy.com/how-specialty-pharmacy-is-penetrating-buy-and-bill-oncology-channels/, https://www.managedcaremag.com/archives/2015/7/oncologists-it-bye-buy-and-bill-and-hello-value-based-care, https://www.ncbi.nlm.nih.gov/pmc/articles/PMC4594838/. I just returned from OoH and it was absolutely the best experience. There were multiple times they didn't charge me for medications. I had my lumpectomy there and received a quote. After further review, they determined it was not going to be that much different than the exisional biopsy that was included in the treatment so they didn't charge me. Additionally, at the end of my treatments, they gave me a refund of over $700 USD because I didn't need extra scans. They didn't try to convince me I still needed the scans. I witnessed (first hand) multiple patients that were stage 4 and had undergone conventional treatments... they were given no further hope and went to OoH. One lady, in particular, had scans after treatment and her cancer was clear with her circulating tumor cells at 1%. It saddens me that you have created this blog without researching the other side... and trying to shoot down anyone that comments with success stories. You clearly don't have an open mind. My lumpectomy went amazingly well with no pain and hardly any bruising afterward. My treatment was incredible and they certainly weren't out for the money. The staff hugged me, cried with me, were extremely attentive, thoughtful, and caring. The complete opposite of what I received in the states. My surgeon was rude, talked over me, lied to me, and put false information in her report (citing things I said that I didn't - my husband was right there with me). I've since reported her and fired her. Not one person in the states showed even an inkling of the care and compassion I received. I met another woman that went through all conventional treatments with 13 months of chemo. After her chemo they told her the cancer was gone, her treatments were done, and didn't do any additional scans. The cancer came back and she was given two weeks to live on 2/23. She's at OoH and still alive. I understand that you think I am a very bad person. Instead of empty assertions, you would make your point much more effectively if you answered the following questions. Mr. Contreras claims to have the remarkable cure statistics in the post, but he refuses to allow them to be independently verified. You have gone there multiple times and given him lots and lots of money. Could you please explain why he does not get an independent source to verify his cure statistics? He would win a Nobel Prize if they were not fake, and he could both "help" a lot more people and make a lot more money if he could prove they were not fake. Thanks. Could you please also give me your reliable source for your claim that oncologists receive 75% of their income from commission? For a doctor in the USA to get any commission, at all, to prescribe services is actually illegal and would cause one to lose his medical license. What is your source for this? Are you sure it is not radically inaccurate misinformation? If you are making radically inaccurate statements, why should we believe other things you say? Thanks. Answering these questions will do a lot more good than wild and totally unfounded accusations about my alleged envy, jealousy, and spite. 1) "I understand that you think I am a very bad person." I never said that. The only thing I said about the OP is "it saddens me that you have created this blog" and "You clearly don't have an open mind." 2) "Instead of empty assertions..."
Did you copy and paste this or even read what I wrote? I didn't make any empty assertions... I spoke about my care, and the care of other patients. 3)"You have gone there multiple times and given him lots and lots of money." Where did I say I've gone there multiple times and given him lots and lots of money? You clearly didn't read what I wrote. I went there one time and just returned. I mentioned that I received a refund and wasn't charged for medications on multiple occasions. I actually paid less there then I would have paid in the states for less care. 4) "Could you please also give me your reliable source for your claim that oncologists receive 75% of their income from commission?" Again you didn't read what I wrote. I said it's NOT commission. Are you confusing me and Tina... two different people with two different names? I provided four links and said the following: It's not commission they are receiving. It's known as "buy and bill": https://www.forbes.com/sites/robertpearl/2014/08/07/are-oncologists-recommending-the-best-treatments-for-patients/#76f3f8942d56, http://www.coapharmacy.com/how-specialty-pharmacy-is-penetrating-buy-and-bill-oncology-channels/, https://www.managedcaremag.com/archives/2015/7/oncologists-it-bye-buy-and-bill-and-hello-value-based-care, https://www.ncbi.nlm.nih.gov/pmc/articles/PMC4594838/. 5) "If you are making radically inaccurate statements, why should we believe other things you say?" Again, you didn't read what I wrote. Do you think me and Tina are the same person? 6) Copy and paste only works if you are actually addressing the same person and/or comments that are relatively the same. My comments were completely different and I wrote primarily about my experiences and the experiences of others. 7) I can certainly ask OoH for information on their cure statistics but for starters, here's this: http://www.legacy.com/obituaries/name/donald-factor-obituary?pid=186248686&view=guestbook. There are many other first hand accounts of people having amazing results at OoH. But I doubt you will attribute OoH to their healing. How about the flip side that I mentioned? Multiple people having gone through strictly conventional treatment that did nothing for their cancer? Or how chemo destroys the liver and other organs... so people are on medications their entire lives? Also, this hospital isn't strictly alternative. As I mentioned, I had a lumpectomy there. I also witnessed another patient receiving localized radiation. In a few weeks I will start two rounds of low dose chemo which is paired with supplements to help boost my immune system. Because of that added support I will not have the terrible side effects. I have other pharmaceuticals I am taking, too. Want to know how much I spent for 3 weeks of 24/7 care... which included scans (if needed), a lumpectomy, daily treatments, supplements and pharmaceuticals, nutritious meals for me and my husband, and a spacious private room with a hospital bed and full sized bed? Just over 30k. My husband was in the hospital back in 2010 and we spent 2600 for one night JUST for his room and food. I got a cot to sleep on. Our room rate at OoH per night? $290 (with tax included). You are correct, I thought you were the "Tina" that had just commented above and made various totally false affirmations about my character, which I thought that you were repeating. Since you are not that person, I stand corrected; you made different false affirmations about me, stating that I "clearly do not have an open mind" when I repeatedly asked Oasis to give me the evidence for their alleged cure rates--this, apparently, is a sign of a closed mind. I will look forward to your getting them to have an independent, unbiased organization verify their alleged cure statistics. Surely if you and other people give them $30,000, and sometimes much, much more, they can at least give you real statistics, instead of testimonials that can "prove" just about any treatment under the sun. I'm sorry you had a rude surgeon in the USA and it is nice to have a pleasant one at Oasis, but, of course, that proves absolutely nothing about whether or not their ideas cure cancer. If what they did actually worked, Contreras would have had a Nobel Prize a long time ago. I am glad you had your tumor removed. I hope that they got it all, and will be very happy for you if that is the case. Sadly, because (as an Oasis recommendation?) you opted for low-dose chemo that is not effective in killing cancer cells if any remain, you stand a much higher likelihood of chemo-resistant cancer in the future and, by going with an Oasis "treatment," have reduced your survival chances--that is why scientific medicine does not do low-dose chemo. 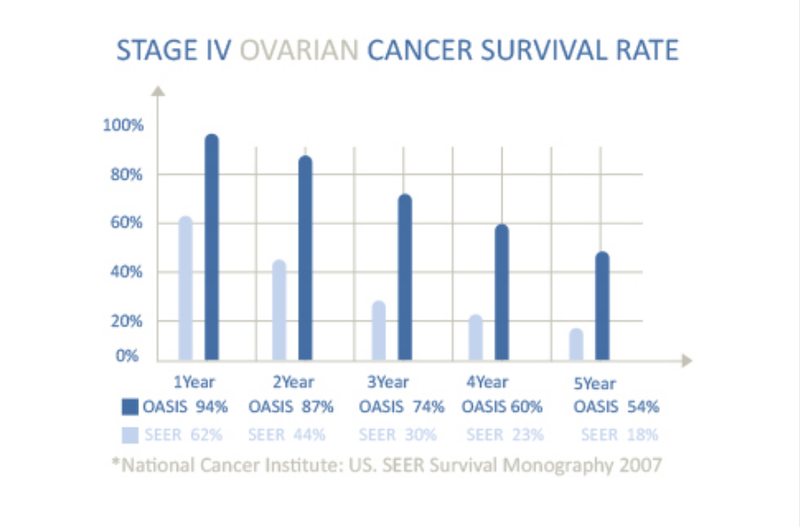 However, thankfully, while surgery without real chemo is less effective in saving lives, sometimes it still does, so if they actually got every single cancer cell with the lumpectomy, you may live a long and wonderful life despite putting your life at greater risk by doing what Oasis said to do. I sincerely hope you make it despite the worse odds Oasis has given you. I also sincerely hope other readers of this blog do not follow your example. Are you saying this is false--they only do this alternative "buy and bill" you refer to which, by the way, the article in Forbes you refer to says is ethically problematic? Could you please tell me what documentation you have that the above is false? No, I am saying the doctors in the states use the buy as sell method. All of those links are about doctors in the states. Yes, it is unethical. They practice this in.the.states. Where is the proof that DK implemented revenue based sharing? They never asked any of us to get extra tests. Again, I got a refund because I brought my own tests. They didn't ask me to get anything else. Saying something is evidence doesn't make it evidence. I hope people DO read this and DO decide to go. I met several people who went purely conventional in their respective countries and it did nothing. And their care was far from compassionate. They all told me they wished they were like me and had gone to OoH first. And, the chemo drugs they prescribed me are WIDELY used in the states. This will be my last comment until I come back every three months to remind you that I'm alive, well, and healthy. You hope people go to Oasis because of several people you met and because the people at Oasis treated you nicely (for $30,000), despite the fact that you have no evidence whatsoever that their "cure" statistics are not entirely fabricated. Would you fly in an airplane because the guy that tells you to get in is nice (for $30,000), and despite the fact that he can produce no proof that it actually will fly? Are you sure that I am the one who is close-minded and not thinking rationally? I hope that you are alive every three months despite the fact that you took low-dose chemo that makes cancer drug-resistant instead of killing it. It would be wonderful if you make it despite the grave risk to your life you are taking and recommending for others. Perhaps in three months you can get proof that the "cure" statistics are not fake and have a reasonable explanation for why they don't get them tested by unbiased independent third parties. My friend who went there and died could not do it. Maybe you can. I'm not going to hold my breath. What does this even mean? "that you took low-dose chemo that makes cancer drug-resistant instead of killing it." And, no, my recommendation doesn't come from being "treated nicely." It's from a first hand account and testimonies of people that have been going to OoH for several years. Including one woman that was treated, healed, and started volunteering. She has been returning for 14 years to volunteer... with her son going with her... from Scotland. I'm sorry about your friend... but not everyone will be healed. This is evidenced (this is how evidence works) even in strictly conventional treatments. AS MENTIONED: I met three women at OoH who went strictly conventional and it did nothing for them other than destroy their bodies and made them worse. See you in three months! I would assume that you understand this, but with your "what does this even mean?" question and the fact that you have stated more than once that the chemo is used in the USA it appears you do not. Low dose chemo uses a low dose. Normal chemo uses a higher dose. It is not a matter of the type of drug. It is the dose--normal versus low. 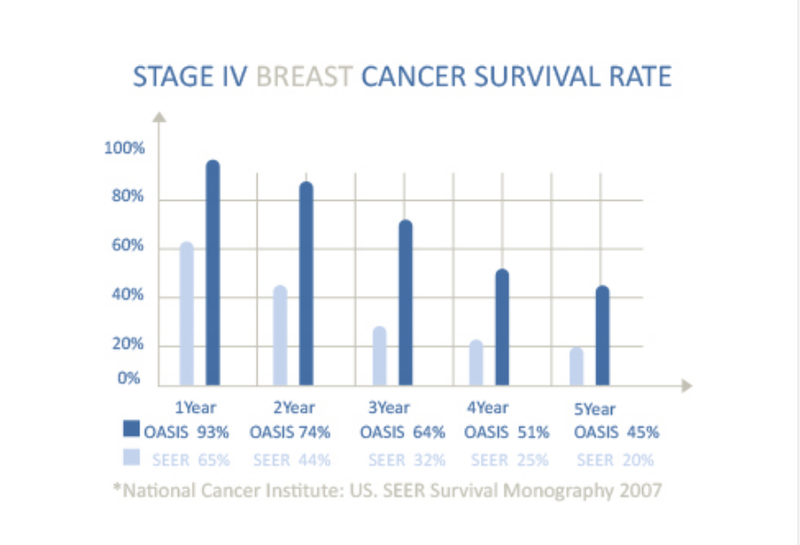 Regrettably, that Oasis would give you low-dose chemo that is not effective in getting every last cancer cell but will leave the ones that are left alive resistant to chemo in the future, while you do not even understand what is going on, is tell-tale. I hope in three months you will actually give the evidence that the "cure" stats are not made up and explain why they have never had them independently verified for decades. Would you fly in an airplane because the guy that tells you to get in is nice (for $30,000), and despite the fact that he can produce no proof that it actually will fly? Are you sure that I am the one who is close-minded and not thinking rationally? I sincerely hope you survive for a long time and have a wonderful life despite putting your life at grave risk at Oasis. It won't take three months to get a response... I'm just not going to clown around with you other than to come here and post success stories (going forward). Nor will I answer hypothetical, silly questions. I asked you questions... you didn't answer them. I posted articles about the buy and sell program that is widely used in the states. You thought it was about Mexico and OoH and pointed out that Forbes called the practice unethical. I responded and agreed... but also pointed out that the practice is used in the States and that's what those articles were about... the practice in the States. No response from you about that. I don't care if you respond or not... just pointing these things out for future readers. So, in the light of success stories. One of the ladies I met that went to OoH went there because chemo in the states did nothing for her, made her sicker, and almost killed her. There was no reduction in tumor size, she was told that there was nothing left they could do, her liver wasn't functioning, and she had two months to live. She's at OoH and just had scans. Her liver is now functioning at 50-60%! This is a marked improvement from where it was. I'm good with not changing your mind... I don't want to. Personally, if you wrote all of this about me I'd have your site shut down for defamation. But, it's not about me and I'm not here to argue with you or change your mind. I have the personal, first hand experience... you don't. So, I'll see you in three months when I get new scans (or before then when I want to share success stories). Another woman I met had a lumpectomy in the states. Within three weeks her tumor came back. She went straight to OoH. She had scans at the end of her treatment and she was all clear. The following are articles and links that support the use of low dose chemo. Article title: Study suggests conventional approach of using high doses in the hope of killing all cancer cells may be counterproductive. Instead of posting alleged success stories of people who felt good and had this or that allegedly happen immediately after it allegedly happened, why not use a small percentage of the money that you and other True Believers give Oasis and get an independent organization to keep track of everyone who goes there to see how many of them are, say, in complete and total remission of all signs of cancer for a minimum of five years (a common definition of a cure) instead of just publishing people who claim they are doing well, ignoring the heaps of the dead, and claiming that whatever they claim has happened to them immediately after the claim takes place proves Oasis cures cancer, with no long-term tracking--as if that validates something? I would suggest that you start keeping track of people like this yourself, but if you do not know the difference between low-dose and normal chemo perhaps some people with a bit more knowledge of science would do a better job at it. I would think you could find some of them. Get all the True Believers in Oasis to take 5% of what they give to Contreras and hire an independent organization to independently track and evaluate his alleged cure statistics. See if Oasis will let you do it--or if they won't let you see if they will give you the evidence for the stats on their website. Getting some objective, long-term evidence instead of publishing unsubstantiated testimonials would do a lot more good than saying you want to shut this blog down for defamation because it points out that Oasis has never, ever validated its alleged cure statistics despite raking in huge heaps of cash, or excusing the egregious ethical lapses at Oasis where people have strong financial incentives to prescribe tests, by referring to far less egregious but still questionable ethical practices by certain American institutions. It isn't "clowning around" to ask for objective evidence. It is a matter of life or death. Trusting testimonials instead of objective evidence will lead many to death instead of to life. You are not just putting your life at grave risk, but are going to have blood of others on your hands if you keep encouraging others to reject objective evidence. That is a bad decision. One more thing: I don't have time to examine and refute all kinds of articles on every single thing. The non-profit organizations like the American Cancer Society, cited in the body of the post, are reliable sources for medical information. I hope that whatever low-dose chemo you did actually kills any cancer left in your body. If lower doses are proven to be effective, they will become conventional medicine, and one won't need to flee across the US border to Mexico to do them to people. I hope you take the same kind of effort that you used to write the testimonials and to find your links to tell us where the real evidence is that Oasis cures cancer--the long-term, objectively evaluated evidence for the claims that they make. Where are the first set of articles and links I sent? I want to make sure other people (who have time to research because their life is on the line) can see those and decide for themselves. Again, not going to argue or go around and around. I told you I'm working on the stats request. When I have it, I will come back here. No need to keep harping on it as if I ignored your request. I didn't. I've already started working on it. If I felt so strongly about something I would take the time to research all angles (which I have in this case - that's the reason I ended up here at your blog in the first place). But, that's just me. Three month mark. CT scans: Clear. Bone scans: Clear. Blood work: Normal. Urinalysis: Normal. The nurse actually said to me, "Your numbers are better than mine!" The medical oncologist wasn't crazy about me going to Oasis, but said, "The chemo protocol is what we would have put you on." Could you please tell me, now that you have had months to work on it, why they have never done it? Why should people trust their lives to Contreras and become True Believers despite the fact that his "cure" statistics are almost certainly fraudulent? Why not give us independent verification that people who were verified to actually have the stage of cancer they claimed actually lived many years longer under Contreras rather than with scientific medicine, instead of telling us that you are alive now, three months after you went there? You either have a sister (?) named David (?) or you are a liar, and in either case, your herbal man isself-confessedly using spirits or demons, and you are using this blog post to promote your quackery. "issef" should have been "himself." I am working on it, but it's not a priority of mine. I'm actually at Oasis right now. I didn't simply tell you that I'm alive. I told you that I'm CLEAR. Please, I beg of you, read things thoroughly before responding. It will absolutely help our conversation. Right now you cherry pick things to fixate on and it's impossible to have a forward moving conversation of any kind. And, why should anyone trust you when you won't even take the time to read through the multiple links I provided and only use one source for your information - as if that one source is "god?" As if that source doesn't have an agenda. Pshhh. Also, I told you my labs are perfect. There are zero signs of cancer in my body. You also ignore the part where the medical oncologist told me that the chemo regimen I'm on is what they would have put me on - even though part of your argument in your original blog was that Oasis didn't follow the standard protocol. They do... you are wrong again. You've said you don't care about testimonies. What else is there, really? Your so called reliance on independent stats... I've provided links to clinical trials that are absolutely independent... but, you know, you don't have time to read those. You only have time to criticize based on one experience you had. Unfortunately, treatments aren't going to work for everyone - as evidenced by the stats for conventional treatments in the states. Or, should we ignore the amount of people that die after having those treatments? Should we ignore the amount of suffering the ones that do survive go through - in regards to broken immune systems, and organ failure. Do you know how many people I've met who went through conventional treatment where their cancer came back and they refuse conventional treatment anymore? My mom is an example of this. She had stage 1 lung cancer, had surgery, went through chemo. The cancer came back within a year and was inoperable this time. Her doctor wanted her to try chemo again and my mom refused. So, the doctor called me. I asked her, "Will her quality of life improve?" Doctor's response, "No... it will be worse." I asked her, "How much time will it give her?" Her response, "Maybe a year... maybe two... maybe six months." I asked her, "How much time will she have without chemo?" Her response, "Maybe six months." So, her quality of life will not improve... she's going to die in a relatively short time anyway but with chemo she will suffer, and you are still wanting her to do it? Why? My mom has now passed away. Here's an idea... when conventional doctors cure cancer 100% of the time we can circle back and talk to each other. Until then, you are a closed book that refuses to be opened. I'm done with talking to a brick wall. I will come back here, each year, to let you know that I'm still in the clear. If anyone is reading this and wants an absolutely objective take, please feel free to find me on Facebook. I'm happy to answer any and all of your questions! If you are at Oasis right now, maybe you can get them to explain why they post "cure" statistics but don't let anyone verify that they are real. I'm not holding my breath. but getting evidence that their "cure" statistics are not fraudulent "is not a priority of mine." In answer to your question: "You said you don't care about testimonies. What else is there, really?" The answer is the kind of testing that all real treatments for cancer undergo--the kind of testing Oasis does not do, which is why they have to be in Mexico not in the USA so they can legally deceive people and steal their lives and life savings. Calling me a brick wall, asking me to read and respond to huge numbers of links that are irrelevant to the content of my post and then attacking me when I don't do it, etc. doesn't change these facts. If what Oasis did to you is what "the medical oncologist told me . . . [is] what they would have put me on" in scientific medicine then Oasis would not put up "cure" statistics claiming to be many times better than scientific medicine. They would have the statistically identical results. So which is it--are they doing what is scientifically verified, or are they doing something else that makes them have wonderful results better than everyone else, but they just refuse to prove that their stats are not lies? I genuinely hope you live a very long time and have a wonderful life. Congratulations on the fact that they have not found any cancer yet after three months. Congratulations. I am happy for you. Shame on you for trying to get other people to go to Oasis when you have no evidence that they cure cancer. I think anyone who is not already a True Believer will not find your arguments convincing at all, but if someone does, his or her blood will be on your hands. Shame, shame, shame on you. Wow, it sure is amazing that "Robert Mary" and "David Clara" have the same story ... almost like both comments are fakes from a computer program, bot, or something like that. they are a great illustration of why nobody should believe testimonies on the Internet to cure cancer. Cvarieur, the "Truth About Cancer" series is filled with lies about cancer; please see faithsaves.net/medicine/ if you want the facts. I am not posting all your links to spread lies. If you will provide independently verified evidence--the kind that scientific medicine obtains before its treatments are given to people--that the "cure" rates at Oasis are not fake, though, I'll post that. I'm not holding my breath. I deleted both comments above from the fake people "Robert Mary" and "David Clara" because the whole point of the comments was the e-mail and phone numbers in them, but I cut and pasted them in below without the links--I think you will get the point. The first one was originally right before the comment where I point out that "David" was deceitful and using demons. Can you see why you should not believe unsubstantiated testimonies to Internet cures of cancer? Prove that conventional treatment cures cancer. That's my response. My conscious is clear because I've done objective research. I don't say things like, "I don't have time to read this." I actually read it because it's my life on the line. Shame on you for giving a one sided argument that's not founded in any truth and ignoring anything that counters that. I'll see you in September. When my scans are still clear. Also, you didn't read again. It's not three months that I'm clear. It's three months after treatment. I'm six months clear. Perfect health. Perfect energy. No hair loss. No organ damage. Perfect labs. Perfect urinalysis. Scientific proof that I'm doing amazing with an aggressive form of breast cancer. So, shame... Shame... Shame on you for ignoring facts and not actually researching. Again, see you in September when everything still looks perfect. And I'm happy to post my labs and pathology reports... Including the one that states, "summary of target lesions... None." You didn't answer that question. In fact, you said it wasn't a priority for you. You now said you did "objective research." So ... where is the proof that the Oasis stats on their website are not fake? Why have I asked you for this over and over and over and you have never given any evidence at all? You did not answer this question. Your only response was: "Prove that conventional treatment cures cancer." Since there are millions of people who have been cured of many types of cancer through scientific medicine, that is very easy to do, and any kind of objective research of any kind can validate that. This is the response of desperation. So instead of calling me a brick wall, telling me I am shameful, etc., how about telling us why the cure statistics on the Oasis website are not fake, and explaining why they have never, ever for decades gotten them verified by an independent third party? Do you realize that one person (you) being alive a number of months after going to Oasis proves absolutely nothing, and that is not how science is done? I'm glad you are alive. You said before you were going to get the proof for their stats. Let's see. I'm not holding my breath. I took my wife to the Oasis of Hope hospital twice, and I became friends with one of the employee, very honest guy, we became very close friend he went to visit me once, he recommended me not to go back to the hospital again, he told me that doctor Contreras don't really care about his patients, when a patient returns he will have to take another doctor with him, so he can be reminded about the patient current condition, he also told me that the home treatment is not personalized he said that doctor Cecena (head of oncology) but of course he is not an oncologist, he will copy an paste the prescription, they really don't care if you are able to tolerate all the 16 different medications that they recommend, they just want to sell it to the patients to make an extra $5000 dollars, and if the patient dies, they will make almost impossible to reimburse the money, he told me they use many illegal medications that are not even authorize in Mexico, he also told me that 90 percent of the patients died and the only reason why some peple get better is simply for the chemotherapy and because some of them have a good immune system. He also made some very nasty and negative comments about Daniel Kennedy, he also agrees that he only cares about how much money they make each month and to make people spend more money at Oasis, I am not making this up, this words come from my friend who works at the Oasis Of Hope Hospital. I believe he is one of the few people that really care for patients. Thank you for sharing your story. Very sad. KJB1611 Thank you so much for this blog. Oasis of Hope is a complete con job!! Whoever says otherwise is 100% lying. My father died from prostate cancer in 2007 after being treated there. He had cancer for years and believed praying, fasting, raw food diets, superfoods, etc would cure him. There are prostate cancer treatments that are highly effective when caught early and we begged him to just get treated. He refused. In January, 2007 about 9 years after being diagnosed, he was feeling ill, thinking he had the flu and went to the VA in Miami and was told cancer had spread everywhere and he had a month or so to live. I flew to Fl and brought him back to NYU hospital. There they agreed, and recommended palliative care. They said something like take your Dad home, surround him by his loved ones, cherish your last moments, we will give him meds so that he will not suffer. That was the best advice ever and the worst decision in my entire life was not taking it. My aunt called me having watched Dr Contreras on Spanish TV claiming he could cure cancer. I immediately called Oasis of Hope sitting right next to Dad in that NYU hospital bed and without even seeing a chart they claimed they had 80-90% cure rate on prostate cancer and could help my father. We flew out immediately, like the next day. I wanted my Dad to live so badly and he wanted to live so badly, that we took a chance. I swear to you this place is a total con job. I spent thousands and arrived with such hope. My dad was there about 10 days and never even saw an oncologist! At most a primary care doctor peaked in his room every few days. I argued but was told he was going to get better. No real attempt was ever made to cure him. He languished there with fake therapies like blood transfusions and tons of vitamins. He was in so, so much pain, getting weaker by the day. He begged me, Allison, take me home and we left. I checked us out, this time he was so weak I had to wheelchair him out of that place. I had rented a car and we drove back over the border to take that long flight back to NY. He looked so sick, I had to tell him dad you have to look strong if they see you sick they won't let you on the flight. I sat next to him the entire flight quietly sobbing knowing he was dying. He lost his complete appetite while at Oasis and hadn't eaten for days and his extremities toes and hands were freezing cold. I knew these were his last days. It's not only that Oasis could not cure him, they don't guarantee 100%, its that THEY KNEW THEY COULD NOT CURE HIM and kept him there. They knew he was dying but wanted every last dollar. We arrived home, my sister had a bed waiting and my dad died about three days later. I forgot which website I told my story on all those years ago, but I promise several people reached out with the similar terrible stories. One family told me they spent thousands on a medical plane home and their relative died in the air. If I were not a Christian and did not have a daughter to look out for I would fire bomb that fake hospital. Those people are evil. They took my dads last days from us. He could've been with grandkids and loved ones, instead he was in pain with me a thousand miles away. I remember they'd give him an injection of something that hurt him so bad it would burn going into his veins. It hurts my soul that people are still going there. I still have receipts and a diary if anyone wants to challenge my truthfulness. Thanks for sharing, what a tragedy. I took my mom to Oasis of Hope Hospital in December last year, do not believe these scam artist, they are thieves, promised us total remission in three months for 29 thousand dollars, my mom passed away one week after we got back home and we got stuck with about four thousand dollars worth of medication and supplements that we could not return, do not let them fool you, Oasis of Hope is a group of companies all designed to take money from you. From the hospital to the lab that sells you the supplements to the place where they send you to get your x rays done, they all work together to take money away from desperate people looking for hope. I also reviewed my moms account and they jack up the prices of everything, a medication that would cost you 10 dollars in a pharmacy they sell to you for 100 dollars taking advantage of your situation. the whole experience was awful since day 1. the driver was late to pick us up and even though we waited more than 1 hour for him, he was very disrespectful. Our room was dirty, there were cockroaches in the bathroom and it smelled awful, seemed as if they were not even expecting us, the only person who seemed ready for us was a young lady asking us to pay the 29,000 dollars they charged us. The driver took us to our room and we had to wait there until next day for someone to tell us what was going on, without eating or knowing what was going to happen, when we finally saw a doctor the nurses had already given my mom two days worth of treatment, only a couple nurses speak English so it was impossible sometimes to get any information other than extra charges. I hope that this message is considered by patients in need of treatment and that they ask around before they go to a terrible place like this, they made my mother's last days on this earth a living hell. I am looking for a treatment for my self, I was diagnosed with breast cancer stage IV a couple weeks ago. Oasis of hope was one of many places I called and when I asked them where they get the numbers for the statistics that they have on their website they just reply that they have a research team, when I asked if I could speak to someone in this research team they just kept hanging up on my and not returning my emails, they definitely have something to hide or at least they act like it. I did a little more research because the video testimonials on their website are obviously very old, turns our most of the "survivors" posted on their website have already passed away. This is a new low for quack hospitals like Oasis of Hope, marketing with dead patients. I just hope authorities look into this clinic and make them stop.